This past weekend we had a winter snow storm. The crazy part is that it started with ice, lots of ice. I had to drive on sheer ice on Friday night to get home. Not fun. Then the storm started. Unfortunately the worst of the storm was around noon on Saturday, so my son’s Confirmation was canceled. We ended up getting 10.5 inches of snow in Bismarck over the weekend. The other crazy part is we had only 13.6 inches of snow all of last winter. But lest you think we don’t get normally get snow, we average around 50 inches of snow for a winter. Amidst the craziness there is such beauty. Monday it was in the single digits in temperature, but it was finally sunny and no wind. Look at the beauty that ice left. 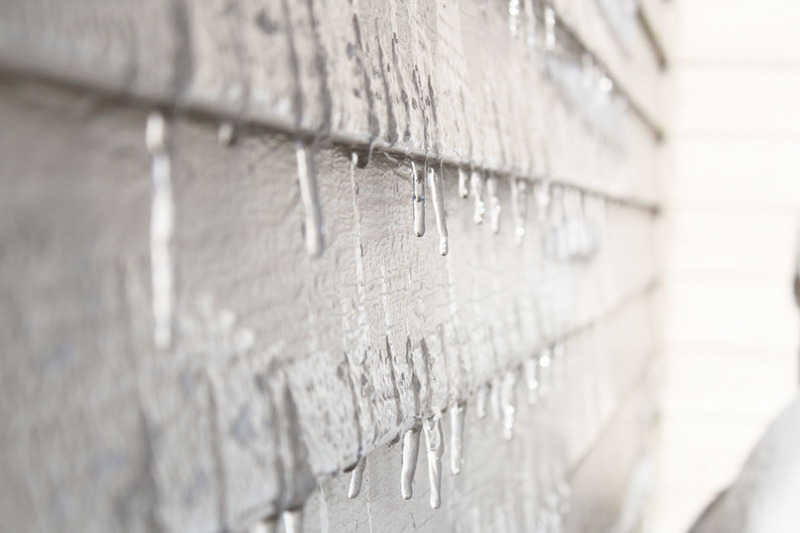 My house had icicles on the siding. It just glistened in the morning sun. 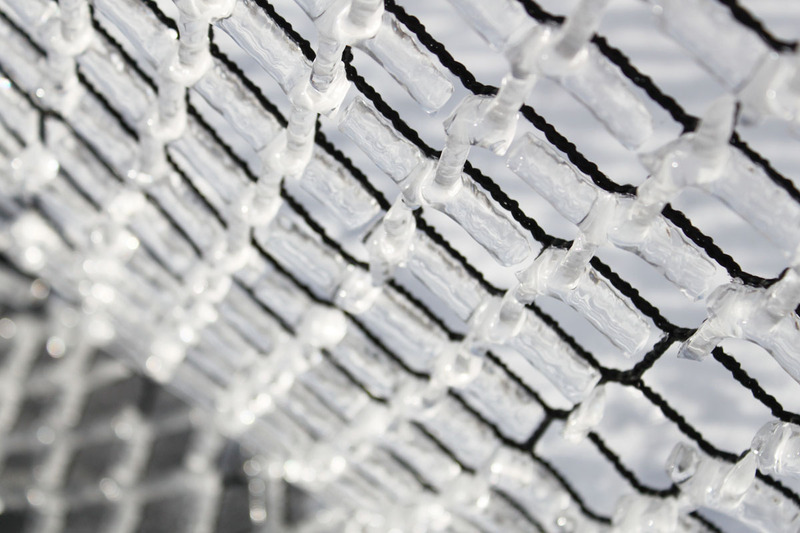 My favorite shot was the icicles on the netting of the trampoline. Simply beautiful. So I guess I need to settle into at least four months of cold, snow, wind and ice. What is your winter like where you live? 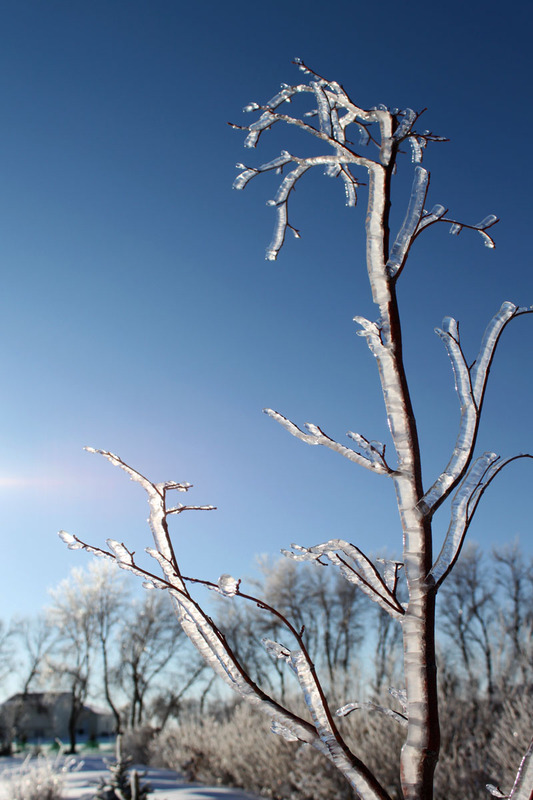 This entry was posted in Daily Life, My Photos and tagged icicles, winter by Karen Grosz. Bookmark the permalink. I keep telling myself that it could have come in Oct. so it isn’t too early. They are predicting slightly above average temps but higher percipitation. Guess we will see. Stay warm in Ontario. We would be happy to send the snow your way. Actually I don’t mind snow, it is the wind that usually comes with it here that I don’t like.